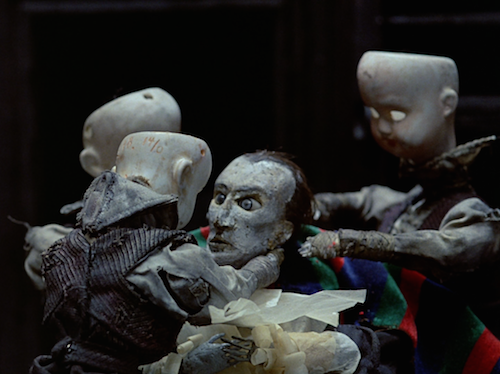 A coworker at my day job saw the new Blu-ray of The Quay Brothers: Collected Short Films sitting on my desk, and he said, "Are they those twin brothers who are like Tim Burton -- but with no sense of humor?" Mmmm. Not exactly. While there's definitely a goth-kid-in-black-clothing vibe to the work of Stephen and Timothy Quay, the brothers also definitely have a sense of humor. It's just humor of the dark, bitter, Eastern European variety that one usually associates with writers like Franz Kafka. In fact, considering their résumé of challenging, horrific, and exquisite stop-motion puppet films -- which are so clearly in the tradition of Polish and Czech master animators like Wladyslaw Starewicz, Walerian Borowczyk, and Jan Švankmajer -- it's odd to realize that the Brothers Quay (as they are often anachronistically credited on their films) are Americans who have spent most of their lives in England. This collection, which is similar to (but not exactly the same as) the twins' 2007 DVD set Phantom Museums, spans three decades and runs a little under four hours. It culminates in a brand-new 8-minute documentary short, titled simply Quay and created by Interstellar director Christopher Nolan. The short follows the nearly seventy-year-old animators around their studio as they talk excitedly about their puppets, props, and idiosyncratic filming techniques. Fans of early, icky David Cronenberg and of David Lynch when he's in an abstract, Eraserhead-ish state of mind should be naturally drawn to these films. 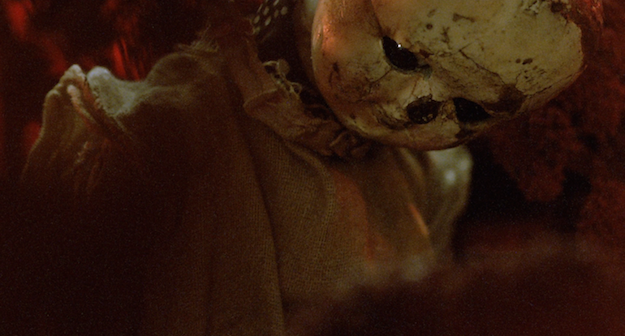 The character designs are frequently amalgams of doll parts, dead things, and odds and ends from an antique junk shop. The settings, meanwhile, are intricate jumbles that alternately suggest old doll houses and Joseph Cornell's shadow box collages, with both dreamlike and nightmarish overtones. Now and again, metal machinery morphs into gooey chunks of meat. Outsider art, centuries-old medical manuals, and Hitchcock's Psycho can also be parsed among the visual influences. Sonically, their films feature music by the likes of Karlheinz Stockhausen, Krzysztof Penderecki, and the shoegaze band His Name is Alive. The films in this collection are mostly narrative, and are often adapted from literary works, although the Brothers' off-kilter approach to framing and montage tends to transmogrify these stories and make them mystifying and opaque (except maybe on a moment-to-moment basis). While listening to the filmmakers discuss their stories in the disc's handful of included audio commentaries, all these striking and sometimes disjointed-seeming images suddenly gain a clarity of purpose. The story development becomes much clearer, even if the Quays don't provide easy answers for every moment. 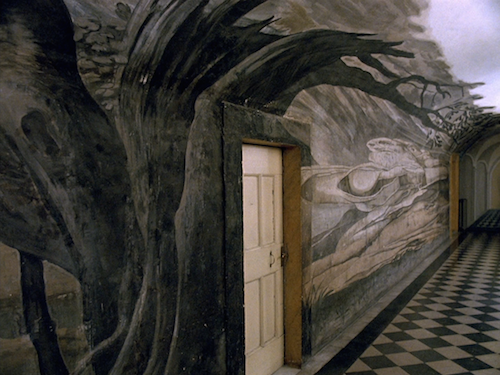 It is fitting that one of the Quays-directed documentaries included in the set, "Anamorphosis," tackles an artistic process in which the true intentions of a painter's work is not revealed head-on. Viewers must position themselves at a diagonal and at a distance to finally see the "secret" image that was right in front of their faces the whole time. So it is with the Quays' films. Viewers who look for these stories to reveal themselves in a typical dramatic fashion will just end up befuddled. Maybe impressed. Maybe grossed-out. Definitely befuddled. Where the Quays have not afforded us commentary, we'll just have to keep re-watching until we start to see the hidden grand design (and unlike with many artsy-fartsy experimental films, it's probably there waiting for us too). The literary adaptations in this set that were produced in the last decade are a little more generous both to the original authors and to new viewers. 2010's Maska (The Mask) and 2013's Unmistaken Hands include voice-over narration, adapted from the original stories (by Stanislaw Lem and Felisberto Hernández respectively). The narration allows greater access to the emotional core of the main characters, to powerful effect. Maska is an excellent, unsettling sci-fi film that anticipates the plot of Ex Machina but, through the voice-over, keeps us engaged in the viewpoint of the female creation at the center of the story. In Unmistaken Hands, the inclusion of Hernández's narration helps to amplify the casual surreality of a man being hired to row a boat through a flooded house. The Quay Brothers: Collected Short Films is packaged in a tri-fold digipak-style case with a color booklet that includes essays by Christopher Nolan and critic Michael Atkinson, as well as Michael Brooke's "Quay Brothers Dictionary." Each of the films is given an AVC-encoded 1080p video presentation, although the aspect ratios vary between 1.33:1, 1.85:1, and 2.35:1. All of the Quays' films are presented in DTS-HD MA 2.0 stereo and Nolan's brief doc is in DTS-HD MA 5.1 surround. In general, the video and audio presentations are extremely effective and seem to have been well-preserved. This is not to say that there are not anomalies, but considering how sharp the image is typically and how full and crisp the sound is typically, these "flaws" are potentially part of the artistic intention. For instance, there is quite a bit of banding and digital noise in the short "Unmistaken Hands," but considering the tactile nature of so many of the Quays' images, one might expect they were taking advantage of these occurrences, to augment and compliment what they had shot. It's hard to be completely certain. The only A/V presentation that is relatively underwhelming, and it's probably not by choice, is 2003's The Phantom Museum. This short was created during the time that the filmmakers transitioned from film to digital video, and it feels like they had not fully found their footing with the new media format. On the subtitles front: there are burned-in English subtitles on the films with foreign-language narration, plus the documentaries Anamorphosis and Through the Weeping Glass have optional English SDH tracks. Oddly, the Nolan doc Quay has no subtitle option. Audio commentaries with Stephen and Timothy Quay on six films - As I mentioned above, these commentaries are immensely helpful in unlocking the narrative mysteries of the films being commented upon. The brothers don't discuss them in a didactic "this means this and that means that" way. Instead, they just reflect upon the making of these films, and suddenly everything makes much more sense.